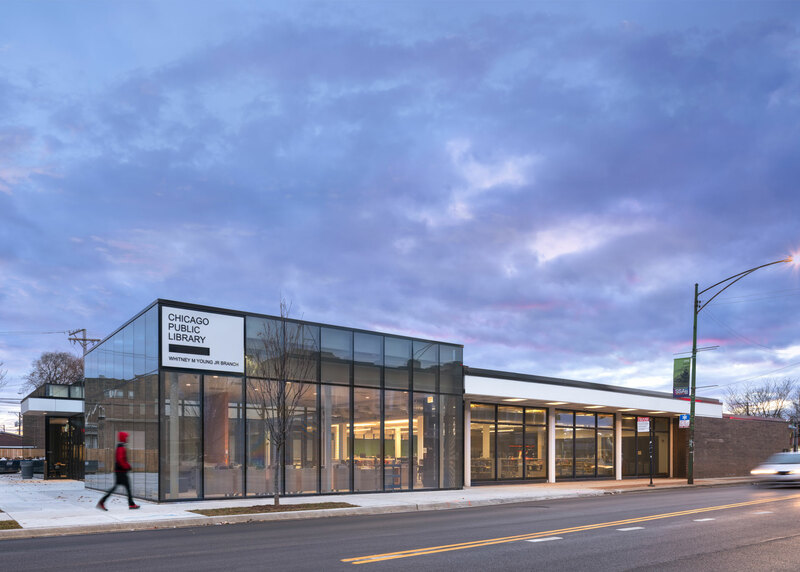 Located in the Chatham neighborhood of Chicago, the existing Whitney M. Young, Jr. Branch Library held a prominence within the community, not only as a library but as a local community center. Adhering to the goals set forth by the Chicago Public Library, bKL Architecture, under the supervision of the Public Building Commission, renovated and reorganized the existing 11,000 square foot building and added 2,500 square feet complementing the existing library and creating a new vision that reflects our time. The Chicago Public Library’s main goals were to bring the Whitney M. Young, Jr. 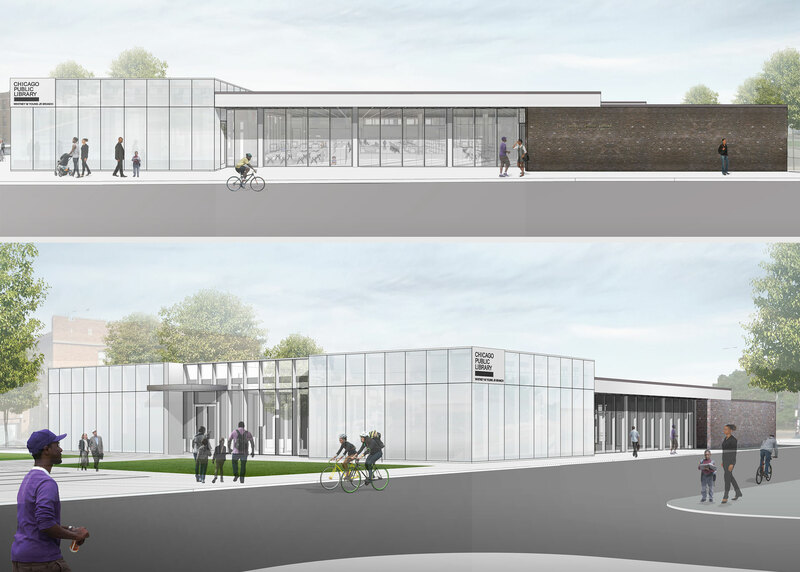 Branch Library into the 21st century with building program, technology offerings, and making the library accessible. The exterior massing and material choice is intended to complement the existing mid-century architecture, allowing the original brick building to still read against the lightness and scale of the new glass façade that frames the entry. This secure and welcoming entry was relocated adjacent to a new landscaped plaza and parking lot. The floor plan was organized in such a way to provide user groups both separate and individual spaces, while maintaining a cohesive design that is open and light. 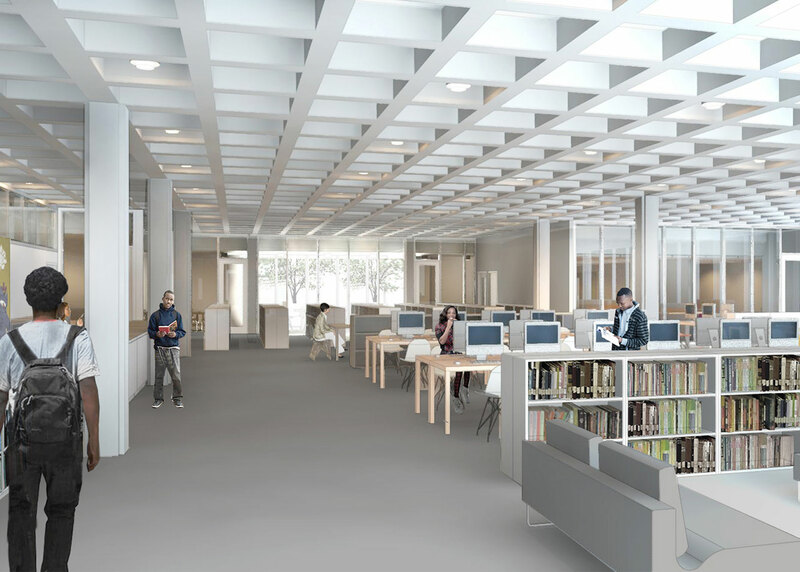 Equally important, the library’s new multi-purpose room, located adjacent to the entry, provides a space where community activities can be accommodated. The focal point of the original building was an underutilized exterior courtyard. bKL’s new design revived the central outdoor space, allowing for light to permeate the surrounding functions. 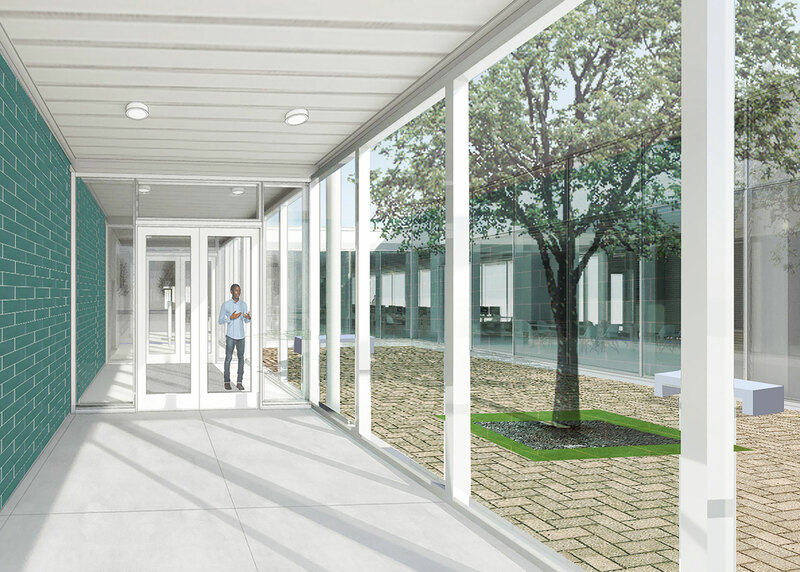 The courtyard now serves as an exterior communal space for the library and its users.